Have we impressed you with our tech? Enjoying the bright colours and shining lights of our site? 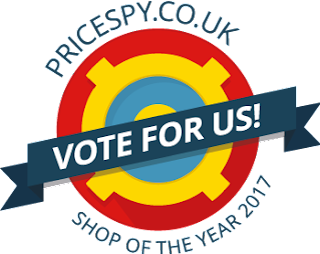 It's time for us to ask you for your vote in the PriceSpy Shop Of The Year 2017 competition! The competition has been running through the month of November and we're counting on your votes. If our site has hit your number one, click the link HERE and vote for us as your shop of the year 2017. All you've got to do is click the link & enter your email address to vote for us to win and the best part it is that it shouldn't take more than a few seconds of your time.